Getting the compensation you need after a truck accident is far from easy. But teaming up with a Pleasant Grove 18-wheeler accident lawyer can make the process less difficult. Almost nothing is more frightening than being hit by an 18-wheeler. The size of these trucks is intimidating, the crashes they cause are catastrophic, and victims often suffer serious injuries afterward. The severity of these crashes often necessitates hiring an attorney to pursue compensation for the victim’s various injuries. If you have been the victim of a semi-truck accident that wasn’t your fault, you can hire a Pleasant Grove truck accident lawyer to help you with your injury claim. 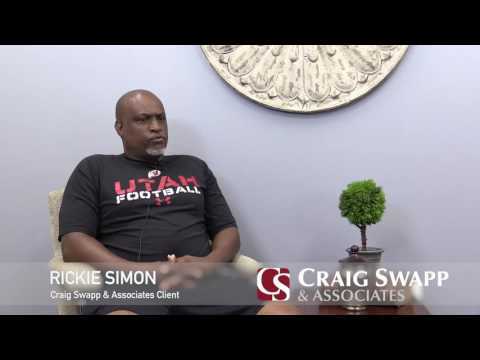 The attorneys at Craig Swapp & Associates have in-depth experience with helping truck crash victims maximize the value of their injury claims. Call our office to speak with a qualified lawyer. One reason you may need a truck accident lawyer in Pleasant Grove is because it’s difficult to know who to hold accountable after being hit by a semi-truck. It’s not always as simple as suing the truck driver. Many other parties could be responsible, and you will need to name the correct party to win the compensation you need. For instance, the trucking company could hold some responsibility for your Pleasant Grove semi-truck crash because it forced its truckers to drive overly long hours. Additionally, the truck manufacturer could hold some liability if the crash was due to a mechanical defect. Even the maintenance company that performs routine checks on the truck could be held accountable. To find out who was truly responsible, your lawyer will need to gather documents, evidence, and information to prove what happened and who was negligent. Doing all that is difficult on your own, so team up with someone who does it all the time. A Pleasant Grove 18-wheeler crash attorney can maximize the compensation you receive for your injuries. We’ll make sure you don’t leave any money on the table. While many truck accident victims will only think to demand compensation for the medical expenses they have accrued to date, your lawyer will know to seek compensation for future medical bills and lost wages. Your attorney will also know how to make a case for you to receive compensation for pain and suffering and the impact your truck crash has had on your life—even if that impact isn’t exactly tangible. If your case goes to trial, the jury may also award punitive damages to punish the driver or trucking company for particularly egregious negligence. This type of compensation can significantly increase the value of a Pleasant Grove truck accident claim. Make sure you aren’t taken advantage of after you’ve been hit by an 18-wheeler. Work with a lawyer from Craig Swapp & Associates to strengthen your claim for compensation. Let us get the process started as soon as possible to give you a strong chance of success. To arrange a free consultation with a Pleasant Grove truck accident lawyer, give us a call at 1-800-404-9000 or fill out the online contact form at the bottom of this page.